One of the positive impacts of globalization is to greatly reduce the cost of cross-border communications and transactions. The traditional physical boundary is blurred due to modern communication technologies. Google Books allow readers to have instant access to works published by authors from hundreds of thousands of miles away. Instant messaging and email allow acquisition librarians to negotiate licenses with vendors from the other side of the world all the time. 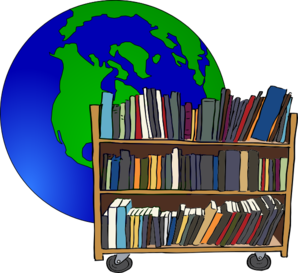 E-commerce and the Internet allow librarians to select and purchase materials without having to physically cross the borders. However, none of the above tasks can be truly accomplished without breaking a barrier that still exists– the language barrier. With over 190 countries and over 3000 languages being used in the world, reliable translation or interpretation tools become indispensable for all information professionals. The complexity of legal systems and legal terminology pose an extra layer of difficulty of legal translation and thus stimulate higher demand for useful translation and interpretation tools. Although the importance and value of accurate legal translation and interpretation attracts more scholarly attention (e.g. here and here) over the years in the law librarianship field, there have been very few discussions on the tools of legal translation and interpretation. The excellent presentation made by librarians Saskia Mehlhorn, Jim Hart and Don Ford at the 2014 Annual Conference of the American Association of Law Libraries helped bridge the gap. The presentation was informative, critical and thought provoking. Presenters demonstrated use of a variety of online tools to facilitate three different kinds of translation projects: translating a catalog entry, cite-checking a source in foreign language, and translating legal documents, followed by a thoughtful discussion of pros and cons of many top-rated translation software, such as Google Translate, Babylon, Systran, etc. Mr. Ford also surveyed useful bilingual and multilingual legal dictionaries both in print and online. The audience shared insightful comments and experience with using online translation discussion forum, such as the language forums maintained by wordreference.com. The presenters also make PowerPoint slides and an in-depth research guide available on the University of Iowa Law Library website. All three presenters cautioned on caveats and limitations when using translation tools, in print or online. For example, Ms. Mehlhorn pointed out that despite being low-cost and prompt, machine translation software “could not read context” and “has no consideration of cultural differences.” She also shared concerns of privacy and confidentiality protections when using online discussion forums to translate legal documents. Although the presentation only lasted about an hour, it raised many questions in the area of legal translation and interpretation worthy of further discussion. 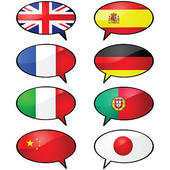 For example, how to better utilize translation tools (without complete reliance) to provide accurate legal translation? Determining sources of difficulty in legal translation will behoove us to find the answer to the question. Professor Deborah Cao, in her book Translating Law, identified the following sources of difficulty: different legal systems and laws, linguistic differences, and cultural differences. As a result, I propose the following methods that would help us to use legal translation tools more effectively to provide accurate legal translations: to achieve a better understanding and a solid knowledge of a country’s legal system in advance (e.g. here and here), to consult a legal expert of native tongue if possible (e.g. here and here), to identify an authoritative bilingual or multilingual legal dictionary or an official legal glossary from the country of the vernacular (e.g. here and here), and/or to hire a professional legal translator if appropriate (e.g. here and here). These methods and tools can help legal information professionals to better resolve issues relating to the diversity and complexity of legal systems and terminology, to appraise the linguistic sources of machine translation software and to appreciate the cultural differences. The opportunity to participate in the “Hot Topic” presentation, “Land Grabbing: Accessing Information to Protect Property Rights of Indigenous People,” was a great way to re-energize. If you were not able to attend the program, please be sure to visit the Wiki for access to the presentations and research materials. I know that many interested folks were not able to attend the San Antonio meeting. If you are interested in any of these projects or in simply being on any email list, please send me your contact information at joan.policastri@colorado.edu and let me know your interest. And, please feel free to make other suggestions as well. Many thanks to everyone for your interest and support of the Indigenous Peoples Law Interest Group! We look forward to hearing from you. FCIL-SIS members Don Ford, Jim Hart, and Saskia Melhorn gave an excellent presentation on Translation and Interpretation Tools for Law Librarians last week at AALL 2014. For those of us who were attending Interest Group meetings during their time slot, or who were otherwise unable to attend the presentation, Don, Jim, and Saskia have created an in-depth research guide available on the University of Iowa Law Library website. The PowerPoint slides from the presentation are included, along with an overview of issues relating to legal interpretation and translation, and extensive lists of translation tools available both in print and online. If anyone attended the program and would like to submit a more detailed recap, please contact the blog administrators. The Global Law Resources Fair, sponsored by the Teaching FCIL Research Interest Group at AALL in San Antonio, offered demonstrations of print and electronic resources on foreign and international law. For a librarian who has few of these resources in her own collection, or who just hasn’t seen them all, it was a great chance to peruse publications away from the Exhibit Hall. Demonstrators at each table were able to answer questions and point out interesting publications. At Catherine Deane’s table, the topic was Research Guides, and she started a lively discussion on assigned texts and readings for Foreign and International Legal Research classes. Marci Hoffman demonstrated new electronic resources, including improvements to the Foreign Law Guide, with new headings and links to make the database easier to use. I made notes of titles to recommend to my library for purchase as I went around the room, including textbooks, citators, and several books on Jewish and Islamic law. Even when I wasn’t shopping, I enjoyed getting to see resources that I use regularly in their online versions but not in print form, including official gazettes, the Max Planck Encyclopedia of Public International Law, and some interesting historical works at Lucia Diamond’s Religious Law Resources table. The Global Law Resources Fair was a nice break from the formal programs at the AALL annual meeting, and I found it to be a great educational opportunity. My thanks to Neel Agrawal and the LA Law Library for making their materials available to FCIL-SIS, and to the table demonstrators who shared their time and expertise with the group. The FCIL-SIS business meeting occurred at 7:45 a.m. on Sunday, July 13, 2014, at the AALL Annual Conference in San Antonio, TX. The Chair of the FCIL-SIS, Donald (Don) Ford of the University of Iowa Law Library, and the Vice Chair/Chair-Elect, Teresa Miguel-Stearns of Yale Law Library, officiated the meeting. The Latin American Interest Group unveiled the “Mexican Law and Legal Research” guide prepared in conjunction with the program developed by FCIL-SIS members Julienne Grant of Loyola University Chicago Law Library and Jonathan Pratter of the University of Texas at Austin Tarlton Law Library. The program, “Mexican Law and Legal Research: Overcoming the Challenges” will soon be available as an audio recording on AALL2go. The new Customary and Religious Law Interest Group introduced itself to the FCIL-SIS. The Publicity and Membership Committee and the Website Committee reported on the status of the new-and-improved FCIL-SIS blog, DipLawMatic Dialogues, and urged FCIL-SIS members to contribute blog posts and “follow” the blog for the benefit of our SIS. The FCIL Schaffer Grant Selection Committee welcomed Irene Kraft, the 2014 recipient of the FCIL Schaffer Grant, to the FCIL business meeting and the AALL conference. Ms. Kraft is the Associate Library Officer of the International Criminal Court (ICC) Library. Her presentation given during the AALL conference was titled “Envisioning the World’s International Criminal Law Library at the International Criminal Court” and focused on the future of small and specialized legal libraries. Spirit of the SIS Award Recipients: Julienne Grant, Ryan Harrington, Jim Hart, Carmen Valero. Reynolds and Flores Publication Award Recipients: Wei Luo for The Amended and Annotated Criminal Code of the People’s Republic of China with Official Interpretations and Marci Hoffman and Mary Rumsey for the FCIL course book. Dan Wade Outstanding Service Award Recipients: Lyo Louis Jacques and Alison Shea. Longevity Award Recipients: David MacFadden and Carmen Valero. FCIL-SIS Newest Member Award Recipient: Charles Bjork of Georgetown Law Library. The meeting concluded with the passing of the gavel from Don Ford to Teresa Miguel-Stearns, FCIL-SIS Chair 2014-2015. The Latin American Law Interest Group met at 7 a.m. on Sunday, July 13th. Seven people attended, including invited guest Irene Kraft (2014 Schaffer Grant recipient.) A number of agenda items were discussed. First, Chair Julienne Grant announced that the Group’s new webpage is up and running. Next, the Group discussed the weekly e-update and whether e-mail was the best format for distribution. Several of the attendees wondered whether the updates could be moved to the webpage, or the information could be moved to a blog; these options will be explored. News sources that members are looking at include La Jornada (Mexico), El País (Spain), the Latin American Herald Tribune, and the Miami Herald. Next on the agenda was the topic of Latin American vendors of legal materials. Teresa had compiled a vendors list for SALALM (Seminar on the Acquisition of Latin American Library Materials) in 2010. She will update this and post it on the Group’s webpage. After a brief discussion of Latin American vendors, the attendees discussed an earlier proposal (originating with Joyce Manno Janto) to establish a formal exchange program between U.S. and Chilean law librarians. Feasibility issues were noted, including language barriers. Teresa will speak with Claudia Cuevas (Biblioteca del Congreso Nacional de Chile) at IALL (Buenos Aires) about the overall feasibility of the project, and Irene generously offered to help in any way possible. The attendees next talked about other future projects, including the possibility of assembling another law/legal research guide, focusing on a different Latin American country. 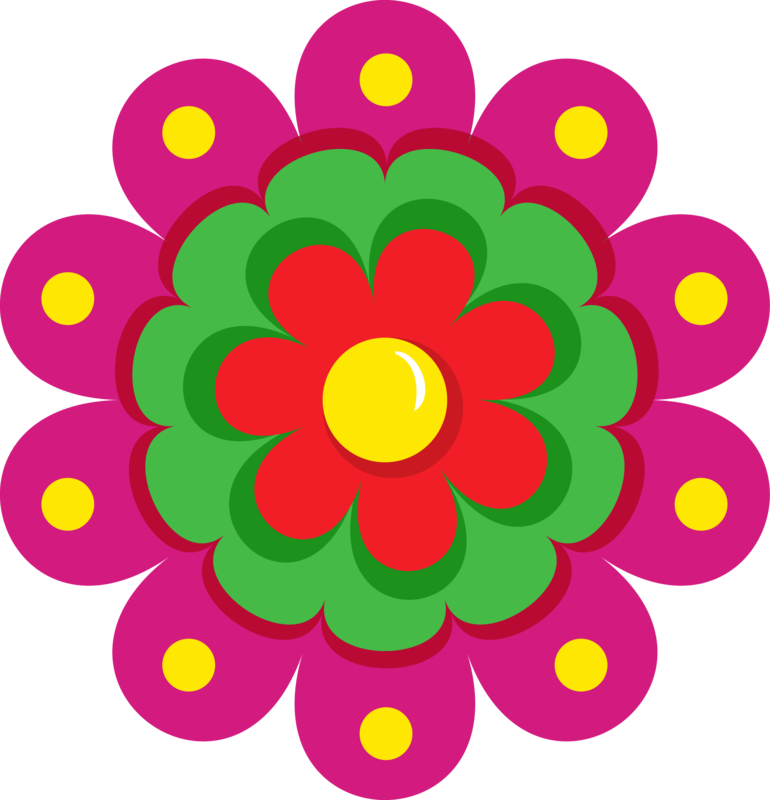 The Mexican guide was a tremendous amount of work, but attendees expressed interest in participating in a similar project. Country possibilities mentioned were Argentina, Colombia, and Cuba. 2014 Schaffer Grant recipient Irene Kraft (currently at the International Criminal Court) next provided an update on the Biblioteca del Congreso Nacional de Chile (BCN). Irene worked there from 2008-2013—first as a general reference librarian, and then did FCIL work because she is multilingual. Irene explained that every major piece of legislation proposed to the Chilean Congress has a comparative law component/justification, so comparative law research is important at the BCN. Irene indicated that the BCN is currently undergoing a major internal restructuring, which involves a number of retirements. Soledad Ferreiro retired as Director; she had pushed for the BCN’s legislative database, which was funded by the World Bank. Manuel Alfonso Pérez, a historian and long-time BCN employee, now heads the Library. Irene also noted that Chile’s most recent elections resulted in a huge change in the composition of Parliament, and that recently-elected President Michelle Bachelet (also President from 2006-2010) is pushing for various fiscal, educational, and electoral reforms. One attendee asked Irene about the Rapa Nui and Mapuche communities in Chile. She indicated that controversies involving these indigenous groups still rarely make the news. Many thanks to Irene for joining us! !